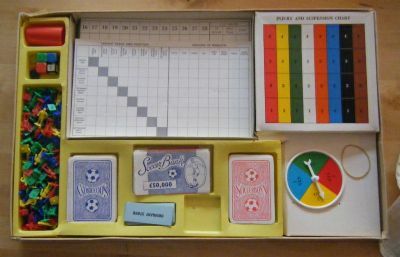 A veritable feast of a football game packed full of bits and pieces. Very involving and quite addictive if you are in the right frame of mind. Wins the award for most footballer figures ever included in any game! 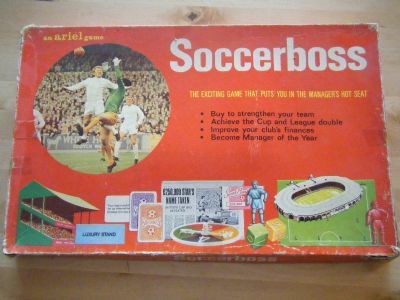 Classic portrayal of 1960s football. 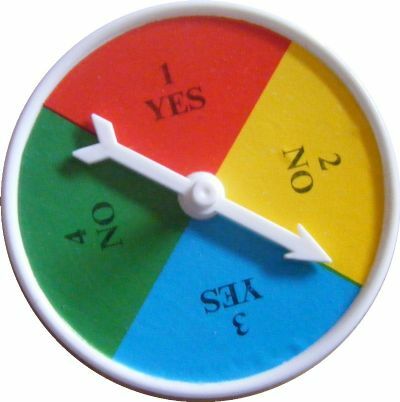 This set is complete in an average box but the spinner is missing the coloured sticker. A box packed full of goodies - player figures, game boards, spinner, cards, money, score dice, counters, fixtures and results sheets plus injury and suspensions chart and oodles more! 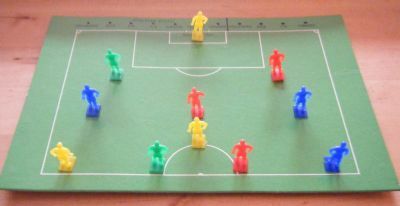 Each player uses a game board to develop their team - the differing player colours represent different skills and value. The aim is to get the best possible team and so win more matches by using the better dice. There is a fairly subtle difference between an ordinary and a luxury stand! 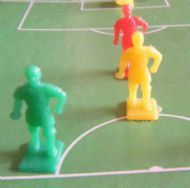 The set contains 800 billion (approx) small footballer figures in a variety of colours.